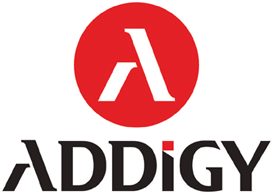 The combination of Watchman Monitoring & Addigy will help you take complete control and scale your service operations. A strong partnership allows joint subscribers easy navigation between the two Dashboards. This integration automatically create tickets related to your Autotask companies. Optionally Create or Sync your Watchman Monitoring Computer Records to Autotask Configurations. Our Bomgar integration enables one-click access to a monitored computer directly from the Dashboard and warning notifications. With our integration into ConnectWise, warnings become tickets in your ConnectWise account and Groups can be mapped to ConnectWise Companies for asset tracking. ConnectWise Control provides both unattended and on-demand remote access. Watchman Monitoring can detect unattended “Access” installation and generates “direct access links”to be displayed on Computer Records and included in warning notifications. This two-way integration provides Jamf Pro (formerly JAMF Casper Suite) with a monitored computer’s current health summary and allows you to remotely deploy the monitoring agent to all your computers in minutes. 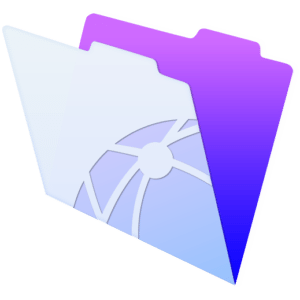 Watchman Monitoring’s FileMaker Server monitoring allows IT Professionals to be notified of issues with their FileMaker Servers without having to worry about local SMTP configuration, including notices about the computer’s overall health. Quickly know the status of every computer in your FileWave managed fleet. Give your end users easy access to their self-service kiosk using Watchman Monitoring’s contact menu. With our GSX integration, you’ll always know the warranty status of the computers you monitor. We can even alert you when the factory warranty is about to expire so you can capture AppleCare warranty revenue. Manage and monitor all of your endpoints from a single console with LANrev and Watchman Monitoring. Securely organize all your passwords, customer contacts, notes, files, and more, by computer with our IT Glue integration. Easily lookup and purchase upgrades for your computers with a single click thanks to our integration with Other World Computing. The RepairShopr integration maps your Watchman Monitoring Groups and alerts into RepairShopr Customers and Tickets, allowing you to get more done in fewer steps. When done consistently, regular maintenance helps keep small problems small. With our Solarwinds integration you can stay focused on growing your business while the small problems are automatically repaired. With our TeamViewer integration, the TeamViewer ID for each monitored computer so you can have easy remote access to the computers you manage. The TeamViewer ID is available via any problem reports and displayed in the monitoring server interface. The modern IT team needs an IT service desk that is flexible, lean, and social. Zendesk provides simpler tools for better support. Our trouble ticket integration with Zendesk allows you to stay focused on customer satisfaction while we keep an eye out for trouble with their computers.